Dr. Barnett received his Ph.D. in cultural anthropology from the University of Chicago and has taught at Princeton, Brown, MIT, and The Wharton School. He is a pioneer is business anthropology, starting an ethnographic observation firm, The Cultural Analysis Group, focusing on consumer energy-related behavior and values, in the early 1980s. He has testified on the automobile industry, transportation mix, and energy consumption before the California Energy Commission and the US Congress. He was an advisor to the OECD on consumer trends. Dr. Barnett has published books and articles on global consumer culture, American cultural trends, energy use, corporate responsibility, Asian modernization, and the next iteration of consumer science. His next book, Consuming Beliefs, is forthcoming from The Wharton School Press in 2007. Dr. Steve Barnett is a Fellow with Cutter's Business-IT Strategy and Social Networking practices, and is President of Bardo Consulting where he designs and directs consumer research and strategy projects that use both ethnographic methods and real-time software data analysis. Dr. Barnett enjoys an international reputation for his expertise in consumer and market strategy, branding and business strategy development. He works with clients such as Proctor & Gamble, Pepsi, Colgate, Pfizer, Heineken, Cadbury Schweppes, Saatchi & Saatchi, Universal Studios, and Cap Gemini. His insights and accomplishments have been published in business books and periodicals including The Nissan Report and Advertising Age; American Demographics; and European Management Journal. Dr. Barnett's prior practice as Senior Partner at OgilvyOne (part of Ogilvy & Mather) included developing scenario-driven Internet branding, positioning, and customer segmenting strategies, using interactive direct marketing techniques and eCRM, for start-up dot-com businesses, as well as for global companies moving business online, including American Express, Jaguar, BP Amoco, Kimberly-Clark, IBM, TerraLycos, Kodak, Pfizer, and Motorola. He developed the strategy for the American Express Blue Card site as well as innovative ways to attract new customers to the Blue Card via interactive techniques. Previously, for three years, Dr. Barnett was Vice President and Director of Consumer Strategic Development at Citibank's Global Consumer Bank. He was responsible for integrating consumer research with scenario planning to provide actionable on- and off-line tools for customer retention and acquisition, branding differentiation, new product development, and service initiatives. 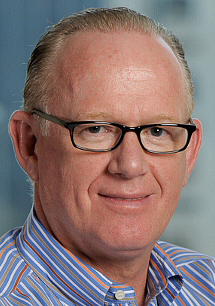 Prior to Citibank, he was Managing Director of Global Business Network (GBN) scenario planning consultancy, managing for five years the New York office, while directing consumer-based scenario plans for clients such as Ernst & Young, AARP financial network, Volvo, Nissan, Fiat, AT&T, IBM, L'Oreal, Nike, and Nokia. Before joining GBN, Dr. Barnett was Director of Product Strategy and Product Development for Nissan North America. He created the company's first scenario planning and strategy department, which played a key role in repositioning Nissan and Infiniti vehicles for the '80s and '90s, especially given growing environmental concerns.